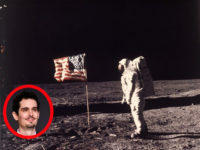 The 2019 Golden Globe nominees have been announced and “First Man,” the film that omitted the United States flag being planted on the surface of the moon, is not on the list of nominees for Best Motion Picture. 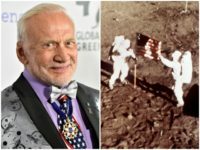 Legendary astronaut Edwin “Buzz” Aldrin on Sunday evening tweeted photos of Apollo 11’s historic moon landing amid outrage over First Man director Damien Chazelle’s decision to exclude the American flag from being planted on the moon. 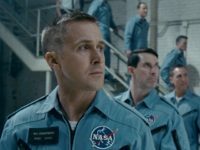 Actor Ryan Gosling and his Oscar-winning La La Land director Damien Chazelle reteam in the first visuals from Universal’s sensational true telling of the Neil Armstrong-led Apollo 11 spaceflight in First Man.